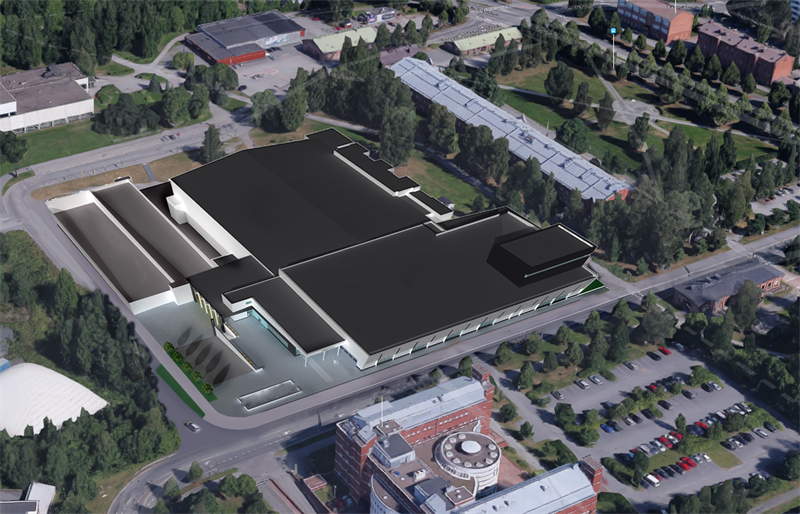 YIT Corporation Investor News December 21, 2017 at 10:30 a.m.
YIT has signed an agreement with the city of Kuopio on implementation of a swimming pool, ice stadium and parking services development as a life-cycle project. The project called Kuntolaakso will be implemented in co-operation with Caverion, and the value for YIT is approximately EUR 36 million. The project is included in YIT’s order backlog in the fourth quarter of the year. “Life-cycle project is a significant project model for YIT, because of the long-term commitment to the project together with skilful partners. This project is also an excellent example of how people in YIT gain strength from committed project development and co-operation together with partners as well as internally”, says Jani Knuuttila Area Director, Savolax-Karelia at YIT. The developer of the project is Kuopion Tilakeskus. The gross area of the new construction is approximately 21,000 gross square metres including the new swimming pool, a parking facility with 350 parking places and an expansion to the ice stadium, in addition to which the ice stadium will be also renovated. The project will be implemented during 2018-2020. ”Kuntolaakso is a unique project. The developer has a full trust on the expertise of the leading construction and building system companies in Finland. They are able to provide us with the high-quality and modern swimming pool and ice stadium entity”, says Janne Pääkkönen, project manager and developer at Kuopion Tilakeskus. “Kuntolaakso is a development project demanding wide-ranging and diverse expertise. Wide expertise, the design solution created jointly by our project development and the modern remote property management create the conditions for the functionality of the entity. Our target, with our services management model, is to provide as good customer experience as possible to the users of Kuntolaakso”, says Ville Tamminen, Executive Vice President & CEO, Division Finland from Caverion.